I'm back, everyone! :-D I'd love to know how do you upload a pic on here? Thanks in advance. I had a dream of a man that I didn't know. but I felt like I was in love with him and he had dreadlocks he was trying to hold me but I wouldn't let him. so he left then I woke up? This isn't a question, hon. Awesome. What's your question? Putting a question mark at the end of a rambling sentence doesn't help us figure out what you need to know. I loved Zorba's in the 90's. Right now it is Chili's. I enjoy their kids meal.... The grilled chicken breast well done with brocoli! Now I am hungry! El Sombrero, best Mexican restaurant around. Michael's Restaurant, good family style food. What exactly is your question, sweetie? not until you reply to my answer. Have you ever visited the most adventurous place in India? I ABSOLUTELY ADORE THEM! YUM! 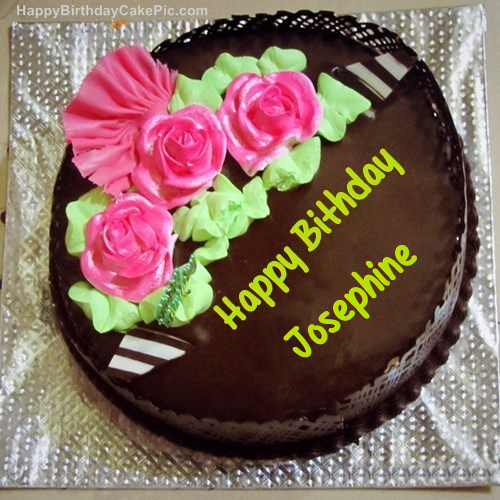 Well, a very happy birthday to you Josephine.